We offer girls Indian Clothing in variety of designs that are suitable for weddings, Dandia nights and other occasions. 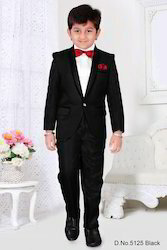 Decorated with beads and sequin, these garments can be availed in variety of colour combinations. Backed by a team of highly efficient designers and skilled professionals, we are engaged in offering a beautiful collection of Kids fashion clothing that is designed using optimum grade fabrics and cutting edge technologies in complete compliance with the set international norms of standards. We are one of the leading manufacturer and supplier of kids fashion clothing, We are supplier wide range of quality products with efficient pricing. We are one of the leading Manufacturer and Supplier of Kids Fashion Clothing and we are supplying wide range of quality products with efficient pricing. We offer an exclusive range of Kids Wear On at unmatched quality and market leading prices. They are manufactured using advance and latest techniques. Being a quality oriented organization, we are involved in providing supreme quality range of Kids Block Printed Pavadai. 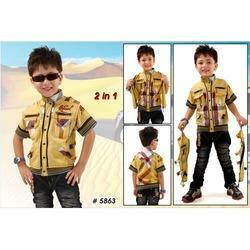 manufacturer & exporters of fashion ready made garments for baby, childerns ect.